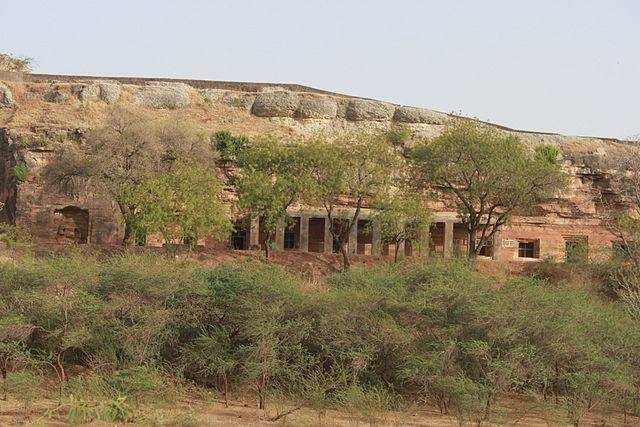 Bagh Caves are not exactly caves, but monuments cut in rocks located in Dhar district of Madhya Pradesh. It is about 150 kms from Indore and 100 kms from Dhar town. Of the nine monuments excavated, only five survive and are believed to be Buddhist Viharas or monasteries. The ceilings and walls of these viharas had beautiful paintings various chambers are located within the monument. The walls also have some intricate carving and statues within the chambers.